The Fort Collins Book Festival was conceived by librarians, writers, book lovers, and community members with the simple purpose: to combine the community’s passion for the literary arts and our unique cultural heritage in a celebration of literature, literacy, and social conversation. The inaugural FoCo Book Fest took place in 2016 with the theme Brewin’ Up Books, a nod to the social and economic influence of craft beer on the region. As Fort Collins is frequently referred to as the “Napa Valley of craft beer,” it seemed fitting to launch the book festival at the intersection of books and brews. Due to the early interest in Brewin’ Up Books, organizers expanded the festival’s focus on craft brewing to also include voices representing artisan coffee and tea – two industries well-represented in the region. The 2017 festival highlighted another focus that makes us “Uniquely Fort Collins”: the town’s growing place in the Colorado music scene. Under the theme Writings and Riffs, the 2017 Fort Collins Book Festival brought together representatives and voices from music, poetry, academia, and literature in a day-long event. While remaining committed to being an important showcase for Colorado authors, the FoCo Book Fest also hosts writers from all over the country. The Book Fest seeks to combine the community’s passion for the literary arts and our unique cultural heritage in a celebration of literature, literacy, and social conversation. The Fort Collins Books Festival is proud to present the event free of charge, thanks to the generous support of corporate and academic sponsors, foundations, and individuals. 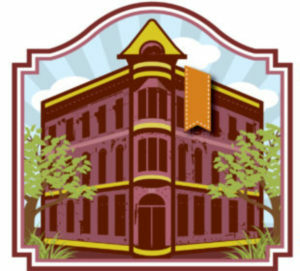 It is a testament to the strength of the ongoing partnership between Poudre River Public Library District and Colorado State University’s Morgan Library, producers of the annual festival, and the strength of creative arts in the community that support for the upstart FoCo Book Fest continues to grow year over year. For more information, or questions, please contact the Poudre River Public Library District’s Answer Center at 970-221-6740.